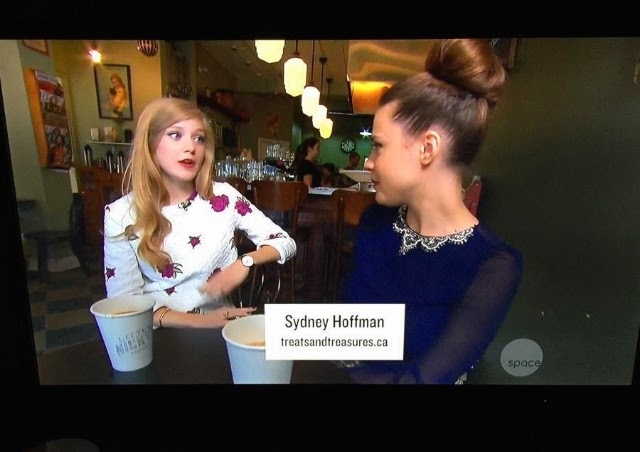 I had the pleasure of being asked to be in a segment on Space Channel for a show called InnerSpace. They had a segment on 'Ladies Who Blog' and talked about how you can create a business out of a blog. My sister who is one of the hosts of the show, got to interview me, which was a pretty cool experience. It started off with an interview at a fantastic coffee shop downtown called Little Nicky's and ended with the camera guy filming what a normal photo shoot would be with my mom (my photographer). It was such a cool experience and I was so happy to be one out of the three bloggers chosen for the segment. Make sure to click on the link (here) to check out the full segment.